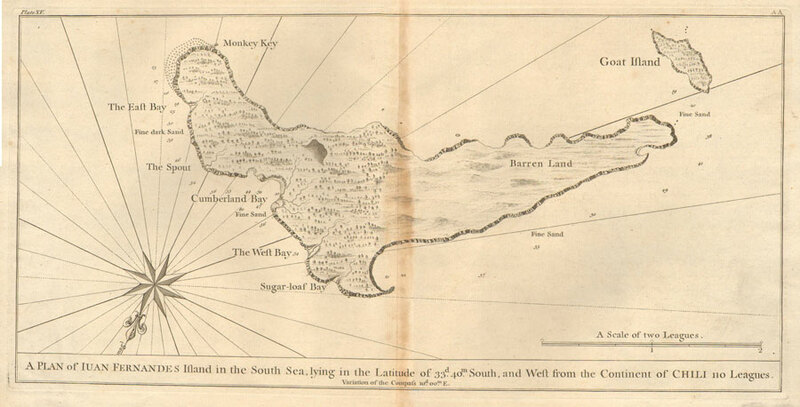 ANSON George A plan of Iuan Fernandes Island in the South Sea, lying in the latitude of 33d 40 m South, and West from the continent of Chili 110 leagues. Engraved map of the island. Light toning at centre. 20 x 10"
VDA. LOPEZ, EL SOL, SANTIAGO Santiago. Vista Panoramic. Old panoramic folding postcard of Chile, circa 1910, fine unused. 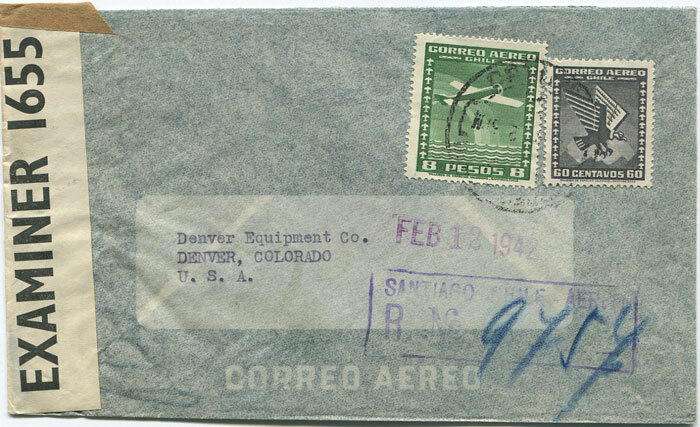 1942 (Feb) Chile airmail cover to U.S.A. with Jamaica transit censor label (UK PC 90 1A). Clean. 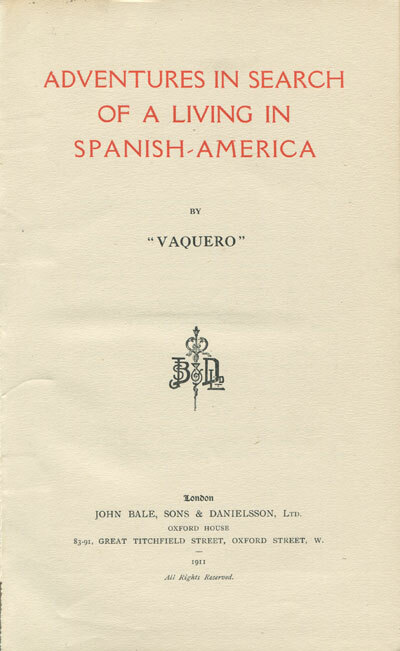 VAQUERO Adventures in search of a living in Spanish America. John Bale, Sons & Danielsson, Ltd., London 1911 viii + 304pp + photo plates, colour plate and maps. 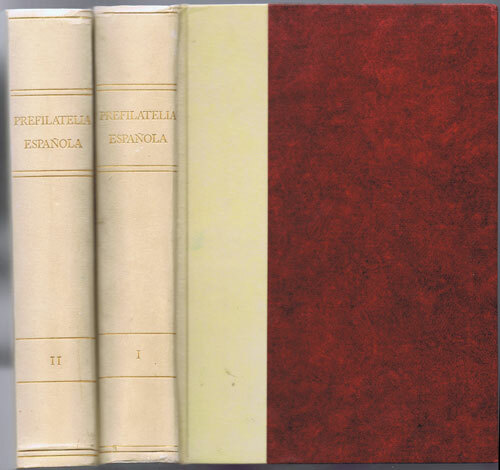 1st ed., very fine in worn and faded original cloth. 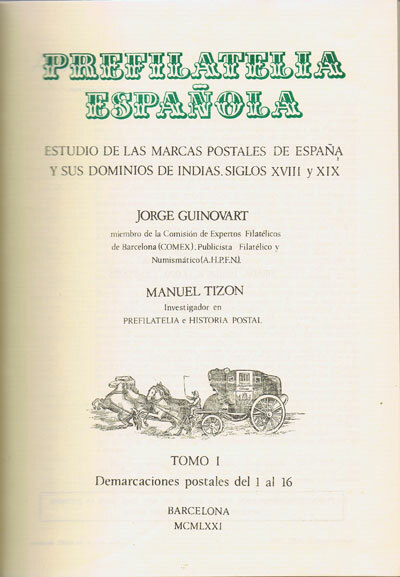 The author visited Mexico, Peru and Chile. Many fine photo plates.